Dr. Zbarsky and his entire staff are wonderful. I've been a patient of his for a few years and, at thispoint, it feels like I'm visiting a friend who also happens to take care of me. Highly recommend the Manhattan office! Dr. Zbarsky and his entire staff are wonderful. I've been a patient of his for a few years and, at this point, it feels like I'm visiting a friend who alsohappens to take care of me. Highly recommend the Manhattan office! Dr.Zbarsky is an awesome doctor. He takes his time to explain everything to you in a way that you fully understandthe process.The office is clean. Staff is professional and friendly. Short wait time.Would definitely recommend and will continue to see him as my doctor! Dr.Zbarsky is an awesome doctor. He takes his time to explain everything to you in a way that you fully understand the process.The office is clean. Staff is professional and friendly.Short wait time.Would definitely recommend and will continue to see him as my doctor! By the time Dr. Vadim Zbarsky opened his private practice 10 years ago, he had already practiced internal medicine in Philadelphia, Russia and in the Israeli army. Now, he brings his diverse range of experiences to New York, where he specializes in Internal Medicine. Dr. Zbarsky has also been named one of America’s Top Physicians by the Consumers’ Research Council of America and is listed in Strathmore’s Who’s Who. As you might imagine, the doctor (who is certified by the American Board of Internal Medicine) has picked up a few languages during his travels! In addition to English, he is fluent in Hebrew, Russian and Ukranian. We provide the following in-office treatments to our patients: intravenous injections, chelation therapy, EDTA, Myers’ Cocktail, hydrogen peroxide and minerals infusion that have been shown effective for treating chronic fatigue syndrome, fibromyalgia and chronic migraines. Also, autohemotherapy and physical therapy, including massage and rehabilitation, trigger point injections and joint injections. We offer pre-travel consultation, including typhoid fever, yellow fever and other vaccinations. We provide USCIS Immigration Medical Exam and Form I-693. Entire staff was very competent, organized, friendly, attentive, and personable. Wonderful at every visit. I had to go on Quest.com to find out my lab results. I have high cholesterol and I am pre diabetic. I figured the office did not call me back for a follow up because everything came back normal. I amnot overweight and I look healthy. I always listen to my gut, so I decided to check my own lab results. They were not good, and I cannot believe I did not hear back from this doctor. Also, the office looks like it is stuck in 1950. It has never been remolded. This doctor caters to the Russian community. If you are not Russian, do no bother seeing this man. I decided to see him because of all his positive reviews, but boy did i make a mistake. While waiting I usually get annoyed and say that I'm never coming back, but after seeing the Dr it always changes my mind and is well worth the wait. He is extremely attentive and I never feel rushed regardless how manypeople are waiting. That's why there is a wait because he takes his time with his patients. I love coming to this office. The office is very clean. Staff is very professional and friendly. Dr Zbarsky is very detailed oriented and a very good doctor. He doesn’t just see you for 5 min and send you out thedoor. He gets down to the problem and fixes it. I will definitely be back! Very nice Dr. knowledgeable, honest and helpful. Would definitely go again. Very fast and efficient treatment. Waiting time below 5 minutes. The receptionist, the nurse and the doctor gave very clear instructions and explanations. Dr. Zbarsky is extremely thorough, kind, professional, knowledgeable, and thoughtful. In my experience, I have felt he is one of the only doctors that has truly cared about my health and well-being. I feel truly lucky to have found his professional and attentive practice!! The doctor was a total positive. He was caring, asked good questions, and was quite thorough. I would highly recommend him. As always Dr. Zbarsky was very through and explained everything so I could understand what is going on with my body. Dr. Zbarsky was amazing. He was able to diagnose my illness and provide some urgent care, even though that wasn't what the appointment was for. I highly recommend him. I met Mr. Zbarsky for the first time. Have most wonderful impression, definitely going to be his patient for a long time (hopefully). They listened to every concern I had and made sure I left with all the answers I needed. Beautiful, clean establishment and polite, professional staff! Made going for a checkup a great experience! Dr. Zbarsky was a consumate professional, as always. His compassion and wisdom are amazing. As always, Dr. Zbarsky was extremely attentive and helpful. He’s the best. Always professional. Always listens to my concerns. I’ve been seeing him for 4+ years. I will continue to see him. Great doctor. He is the grate doctor I can recommend him to all my family !!!! An excellent doctor, who listen you humbly and advice treatment according to the illness perfectly. He is very professional and nice. Love Dr. Zbarsky! I've been seeing him for years so he's become a trusted friend. He knows me and my medical issues and is always available to talk and encourage me. You can genuinely tell he cares about each one of his patients... but especially me... Ha! Highly recommended!! I had a good visit with Dr Zbarsky. He was thorough and took interest in me and seemed knowledgeable. My only issue with my visit is that the facility feels old and some of the medical tools were not very modern. I've been visiting Dr. Zbarsky for 3 years now and he is by far my favorite general practitioner! Love the entire staff at this office. The best doctor in town !!!! I just had my first consultation with Dr Zbarsky. He was attentive and listened to all my concerns. Dr. Zbarsky has been my GP for several years. He is a compassionate, knowledgable medical professional who truly cares about the wellbeing of his patients! I feel very grateful to have found him. Stuff is amazing and doctor is wonderful. He was helpful many times. I'm never worried cause I trust his suggestion and opinion. Dr. Zbarsky was remarkably competent, attentive and engaged. I arrived with a comprehensive list of examinations for my physical and he attended to all of them personally and even suggested additional proactive tests. He is a consummate professional.When you meet Dr Zbarsky you have truly found your family doctor or years to come. This was my first visit to Dr. Zbarsky. I was very happy with both him and his whole staff. They all made me feel very comfortable and genuinely seemed to care about how I was feeling. So glad I listened to the other reviews. Definetly 5 star experience so far. As usual, a gentleman and consummate professional! 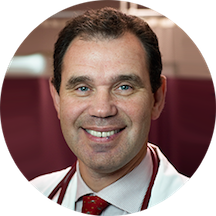 Dr. Zbarsky is that rare breed of doctor who has gone into his profession for all the right reasons; to help heal other people. His humanity is immediately evident! Highly recommend. Dr. Zbarsky was a great doctor! I was nervous about seeing a new primary care physician after moving but he went through everything and him and his staff put in a lot of work to make sure I was fully taken care of. Excellent. Short wait time, very good bedside manner. Highly recommended. Very attentive and observant. Listens and take his time to get to know as much as possible about his patients. Would definitely recommend and will continue to see him as my doctor. Incredible experience. From checking in to the actual clinical appointment, everything was quick, to the point and thorough. Dr. Zbarsky and his team are professional and kind. Highly recommend! Vadim is one of the best doctors out there ! Very quick and thorough and makes you feel like family. Office is very comfortable and staff is always nice.